Updated Oct 1, 2018: The Turtle is closed due to excessive noise. The cliff is on private land and the owner has been incredibly generous by allowing folks to literally climb in his backyard. Unfortunately, the noise levels at the cliff have reached the point where the landowner is no longer comfortable with climbers visiting the cliff. We spent a lot of personal time and money developing the crag and it was an interesting experiment in terms of climbing access on private property. I genuinely wish that things would have worked out differently. We are currently working with the Ontario Access Coalition to address the landowner's legitimate concerns. Our continued access to this crag is dependent on climbers exhibiting exceptional behaviour when visiting the area. The base of The Turtle is on private property and the landowner resides approximately 100m downhill from the cliff. Our continued access to this crag is dependent on climbers being on their best behaviour when visiting this area. 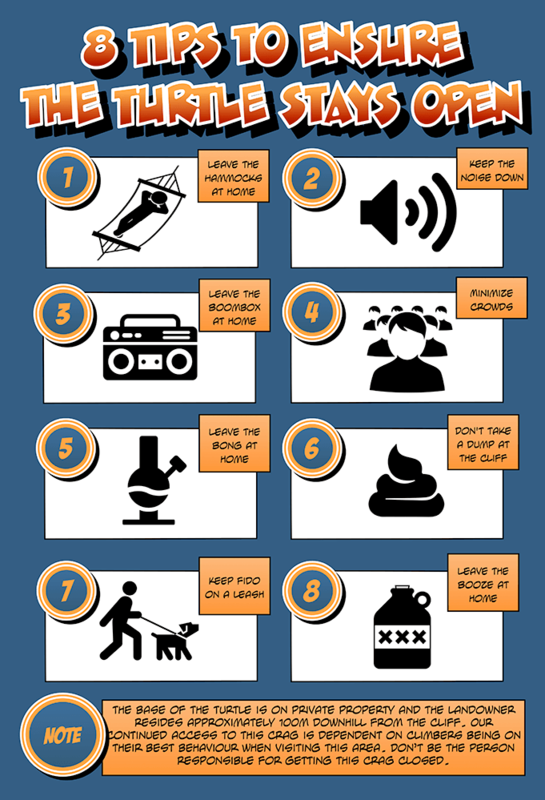 Please refrain from yelling, dropping F-bombs or taking a dump in the forest below the cliff (would you like climbers taking a poop in your backyard?). Also, leave the hammocks, boom boxes, bongs and alcohol at home. Dogs must be on leash at all times. If Fido is prone to barking, consider going to another cliff. If the cliff is busy, please go to another area that can handle greater climbing traffic (Mount Nemo and Rattlesnake Point). The Turtle is also not suitable for large groups (that is, more than four people). To prevent erosion, climbers must stay on the main path. This is particularly important in the terraced corner area. Helmets are strongly recommended. Please bring a stick-clip and use it for every route to help prevent unnecessary injuries. While top-roping is acceptable (set up on lead), please refrain from monopolizing routes that other climbers would like to lead. Further route development is not allowed in this area. Finally, these rules are not negotiable. 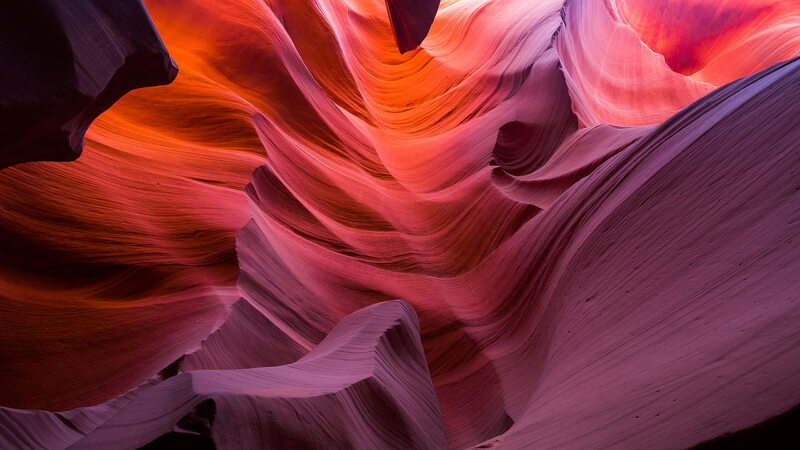 Access to this cliff will be compromised if climbers ignore these policies. Don’t be the person responsible for getting this crag closed. 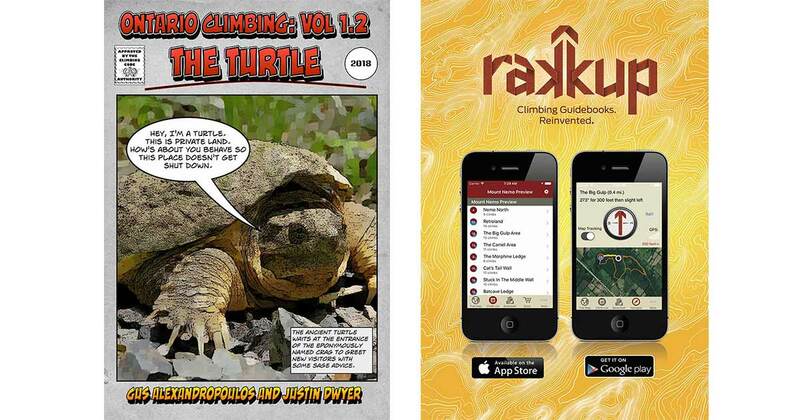 The guide for The Turtle is now available as a digital guidebook in the recently updated Rakkup guide to Mount Nemo. 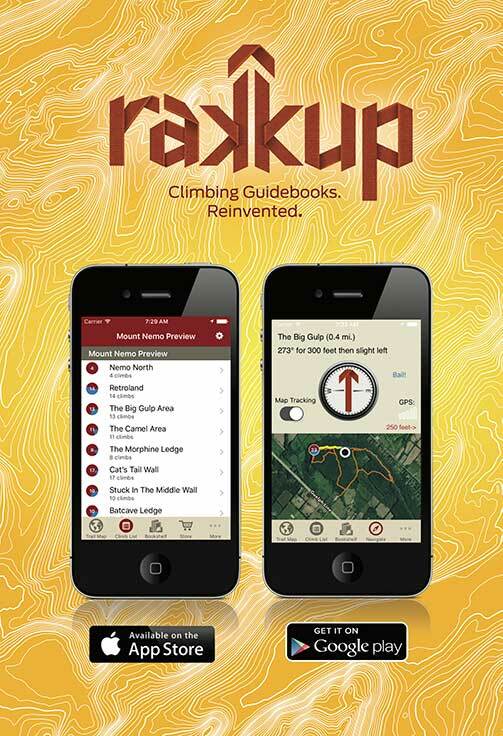 Rakkup also offers numerous other Ontario Climbing guidebooks. Climbers looking for a hard copy guide to The Turtle can download a donationware saddle-stitch format booklet. 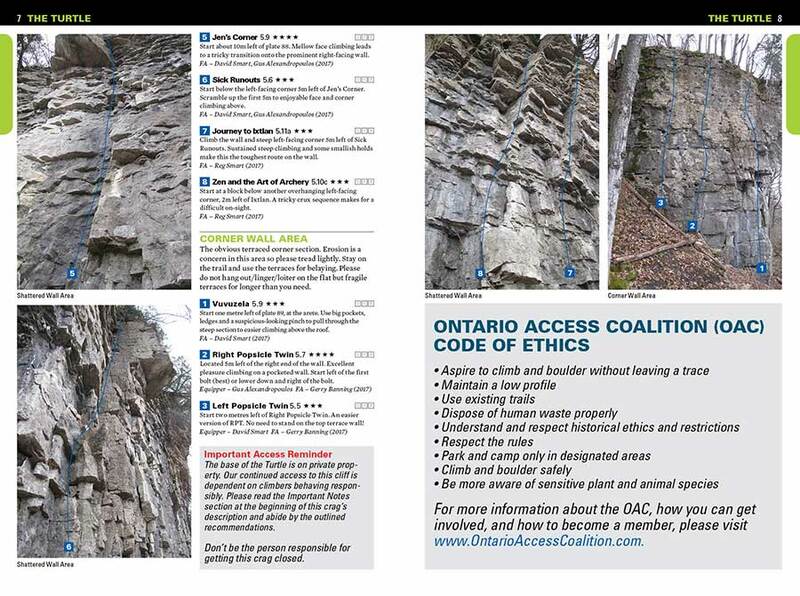 Climbers looking for a hard copy guide to The Turtle can download a donationware saddle-stitch format booklet. 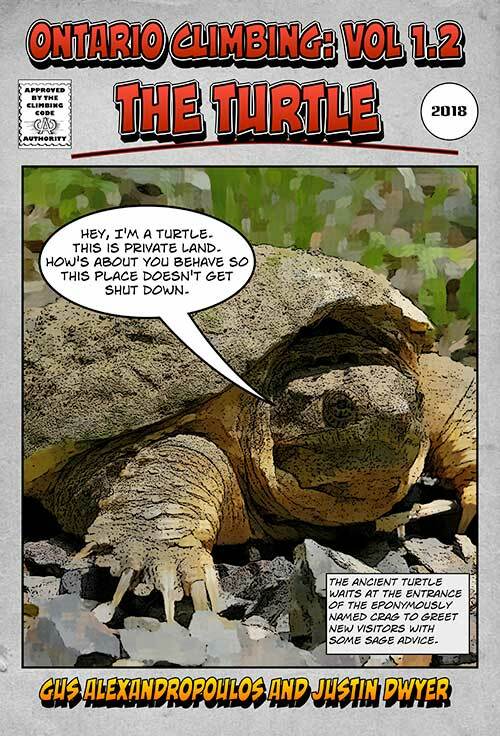 The guide for The Turtle is now available as a digital guidebook in the recently updated Rakkup guide to Mount Nemo.